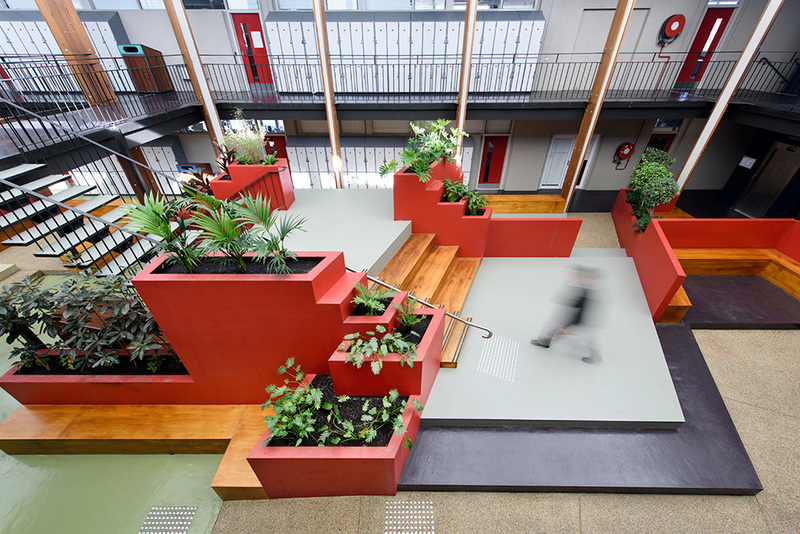 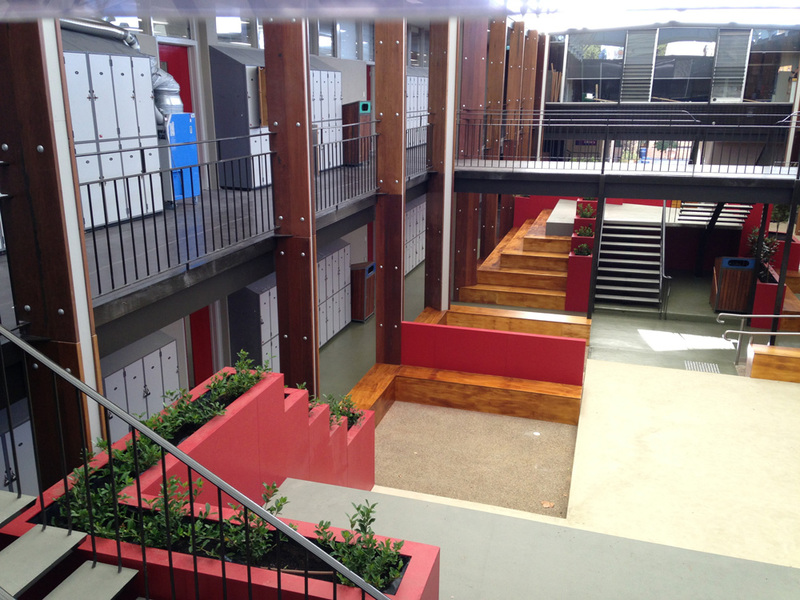 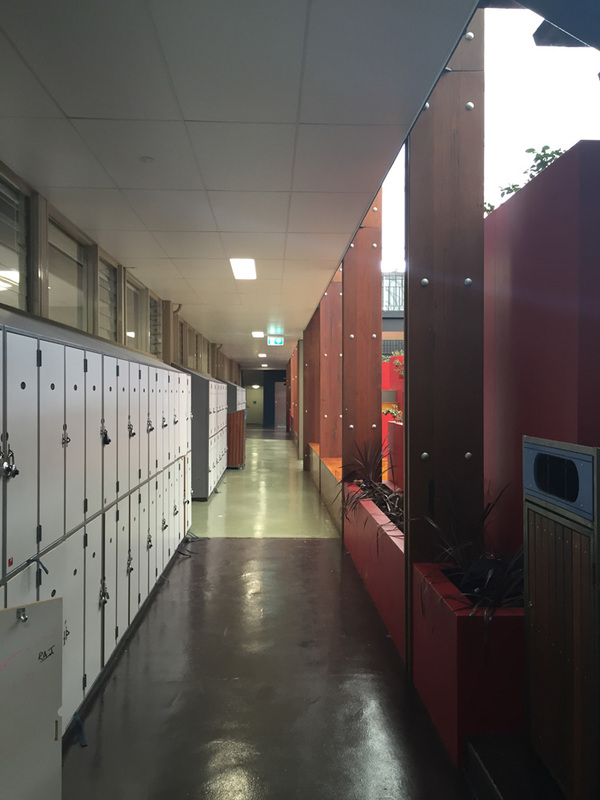 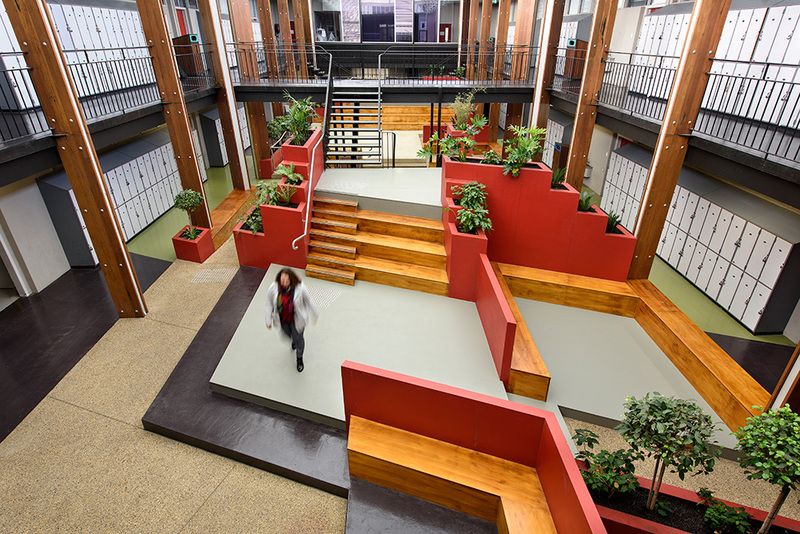 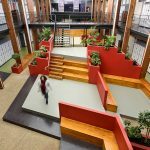 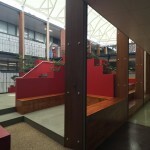 Tasked with rejuvenating an old tired indoor courtyard area, Long Contracting helped redesign the courtyard to create a more flexible space for interaction between students. 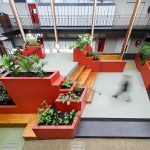 Incorporating recycled materials and eco-friendly indoor/outdoor plaster boxes, the courtyard has given life to a once unnoticed and unloved area. 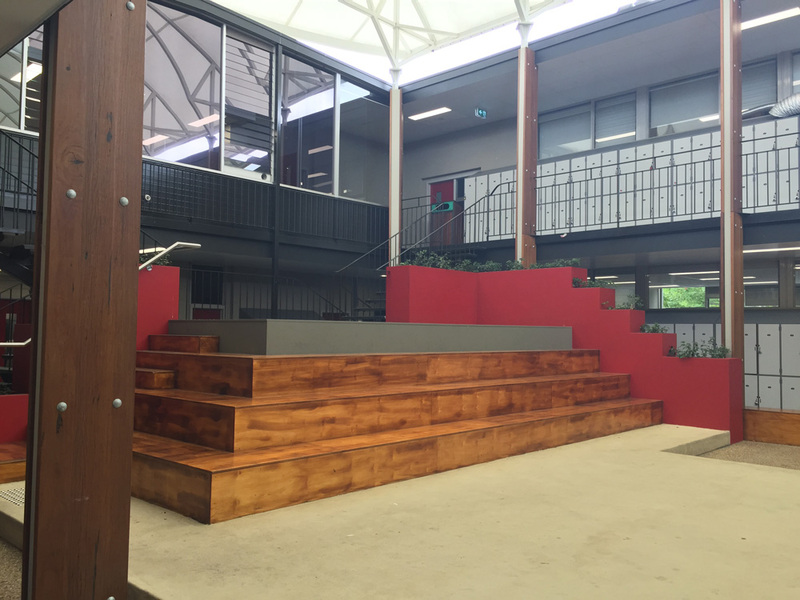 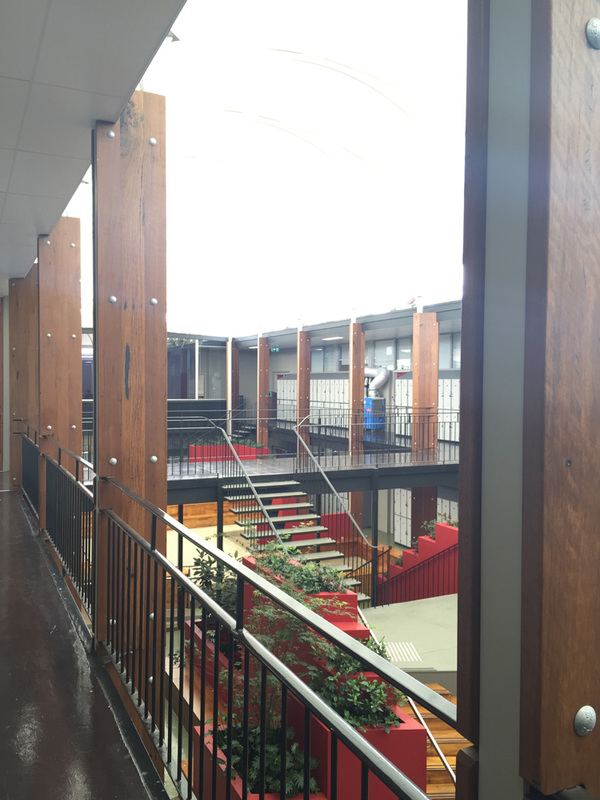 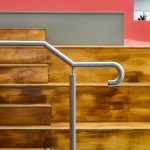 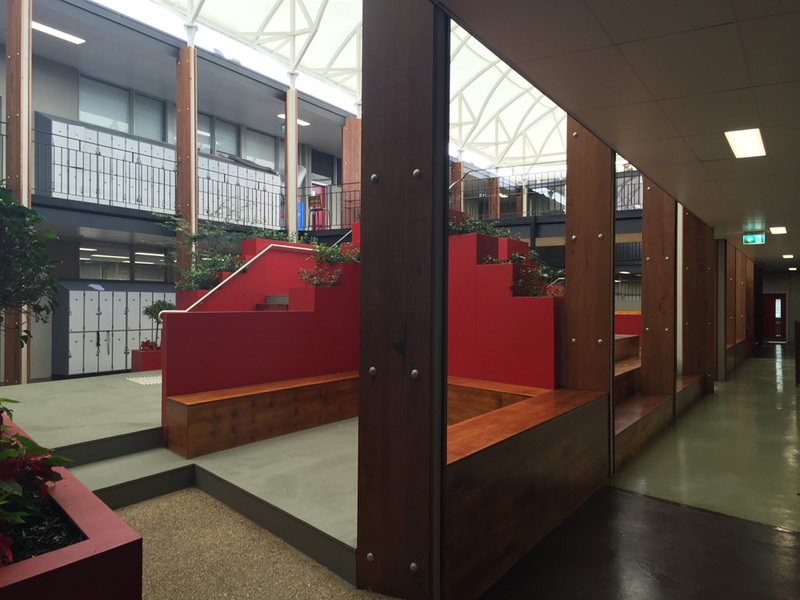 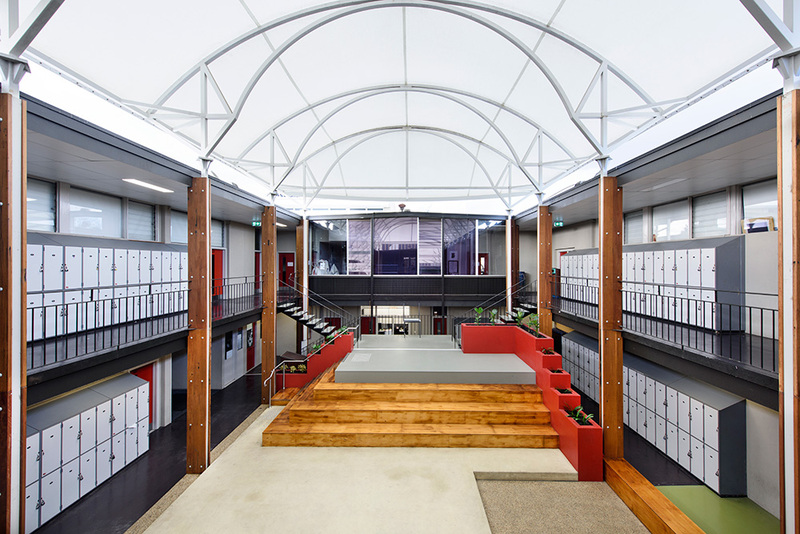 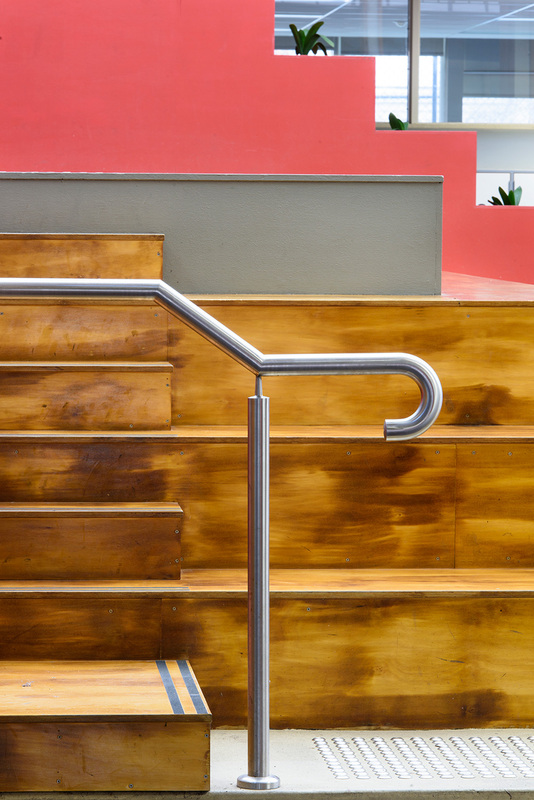 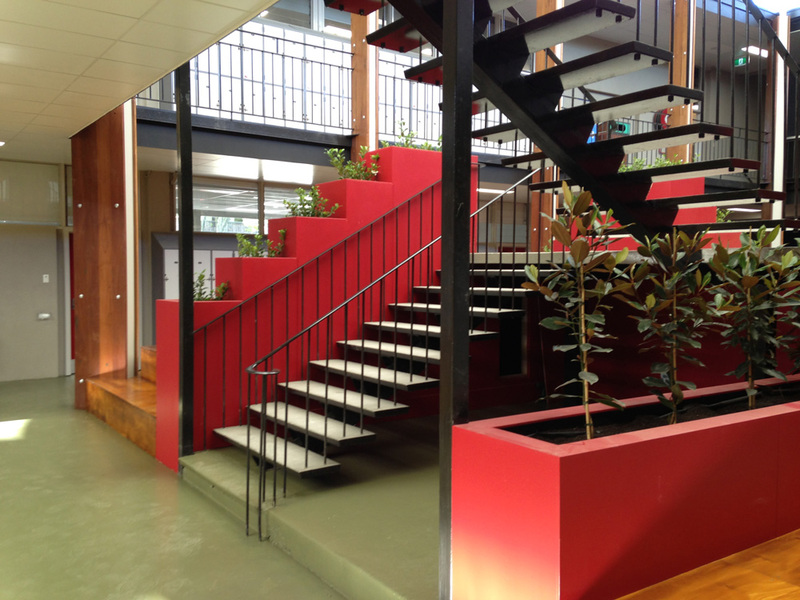 The large custom made spotted gum columns contrast heavily against the exposed aggregate concrete and epoxy floors, giving the space depth and grandness all while helping to keep the area feeling natural and well proportioned. 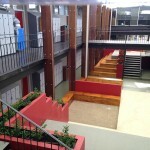 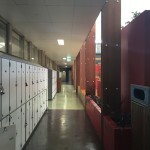 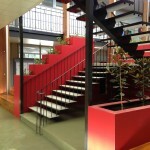 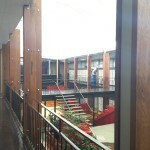 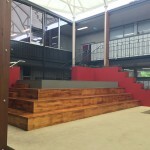 The space has also become an area suitable for both parent and teacher functions.